Broken Arrow is the final book in the Navigator series available as four complete novels. The aliens take a step too far and Ark decides it's time to go all in. Sending all of their Navigator battle teams to the nests, they uncover unexpected allies in a final showdown that will determine which side will rule earth. This is the final battle between man and the aliens, resulting in winners and losers in the ultimate game of poker. With advanced vision, hydraulics and liquid based armor, Navigators are soldiers of the future. When the world falls to an unexpected enemy, they become mankind's only chance to remain the dominant species. 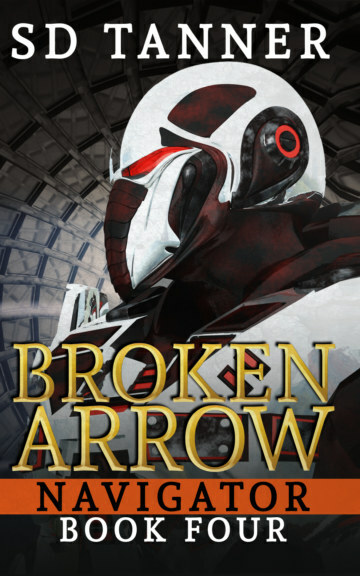 Broken Arrow is the fourth and final book in the Navigator series. In this fast paced, action-based conclusion, our team stand up to an enemy capable of taking over mankind.